Contributor News: Praise for “The Poetry of Yehuda Amichai,” translated by Robert Alter. Alter describes Amichai’s poetry as playing “vigorously and inventively with the formal properties and the cultural backgrounds of its Hebrew medium in ways that cannot easily cross the barrier of translation.” For Wood, this appraisal rings true—but so do Alter’s translations. Amichai, recognized as one of Israel’s finest poets, is one of the first poets to write in colloquial Hebrew and is famed for having his works translated into over 40 languages. Despite his ability to captivate international readers and break language barriers, Alter and Wood admit that there are references to Hebrew culture that non-speakers miss. 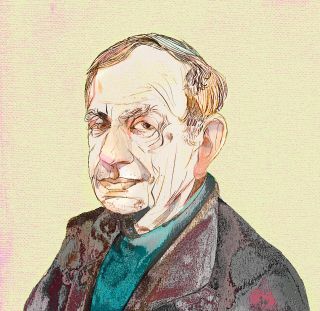 Nonetheless, Amichai is praised for his use of the plain words of everyday speech that make it universally appealing to his readers far and near, regardless of native tongue. Here, enjoy one of Amichai’s translated poems previously published in Broad Street, as well a revisit to “Dangerous Territories,” where you can find more of his poetry and Alter’s introduction. in the water and in the high grass. and the divine chariot of the prophets. like the summer earth beneath us.